Whether it’s from well meaning grandmas who just don’t have current info or misinformed people in the grocery store, you’ve likely heard many myths about breastfeeding. 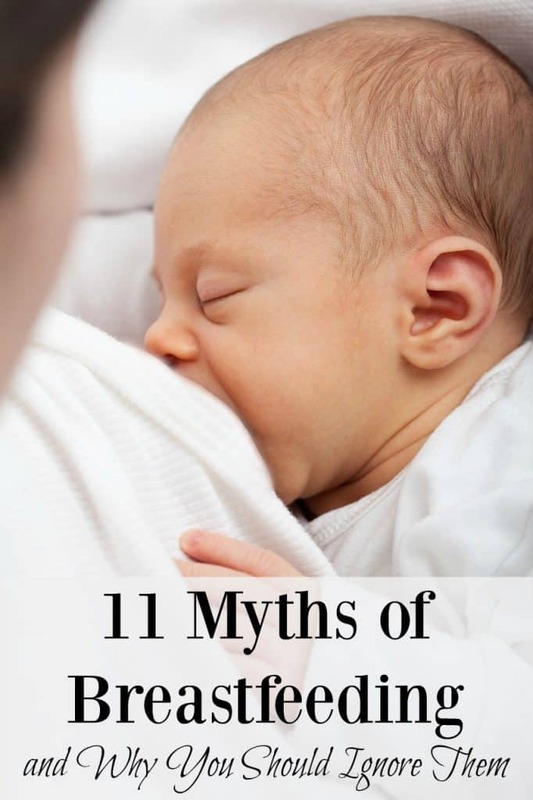 Today, we are going to talk about 11 breastfeeding myths and why you should ignore them! Myth: A breastfeeding mother should space her feedings so that her breasts will have time to refill. Fact: A mother’s body is constantly making milk, storing milk between each feeding. When a breast is emptied, the body rushes to make milk to replace it. When it’s full, the body slows down production. Therefore, waiting until your breasts fill up to nurse puts your supply in danger because your body will never get the signal to make more. Myth: A mother must drink milk to make milk. Fact: No other mammals drink milk to make milk. So how are human beings any different? If a mother has a healthy diet consisting of plenty of fresh fruits, vegetables, grains and proteins she will have everything she needs to provide proper nutrients for her baby. Calcium can be obtained from eating dark leafy vegetables, seeds, nuts and bony fish. And trust me when I say your baby will get all the calcium he or she needs from you. You will need the calcium to replenish your calcium stores! Myth: It’s normal for breastfeeding to hurt. Fact: No, it most definitely is not normal for breastfeeding to hurt! It may be uncomfortable in the first few days but if you have any pain, please talk to your doctor and your baby’s doctor. Myth: Moms with small breasts can’t make enough milk. Fact: As a woman who affectionately refers to her breasts as the size of bee stings, I’m here to tell you that this is most definitely notthe truth! I have successfully breastfed all 5 of my children with several of them nursing for 2+ years. They have always had plenty and we enjoyed our nursing relationship! Myth: Many moms can’t produce enough milk. Fact: Cases of low milk supply are usually caused by mismanagement of breastfeeding, not the mom’s inability to produce enough milk. Our bodies have a fascinating way of making sure that baby’s needs are always met by making milk in response to being emptied. So when the breasts are frequently and thoroughly emptied, they make more milk. When mothers schedule their breastfeeding sessions, often at the advice of well-meaning older relatives, the breasts don’t have a chance to fully empty and replenish milk based on the baby’s needs. Myth: There is no milk in the first few days. Fact: What is produced by the breasts in the first few days of your baby’s life is liquid gold, colostrum! This has everything your sweet baby needs in those first days of life! It is low in fat and high in carbohydrates, protein and antibodies to keep your baby healthy. It may be low in volume but it is highly concentrated nutrition for your newborn. It also has a laxative effect on the baby, which helps him pass his first stools which will flush out the excess bilirubin to prevent jaundice. It may not seem like enough but it is! 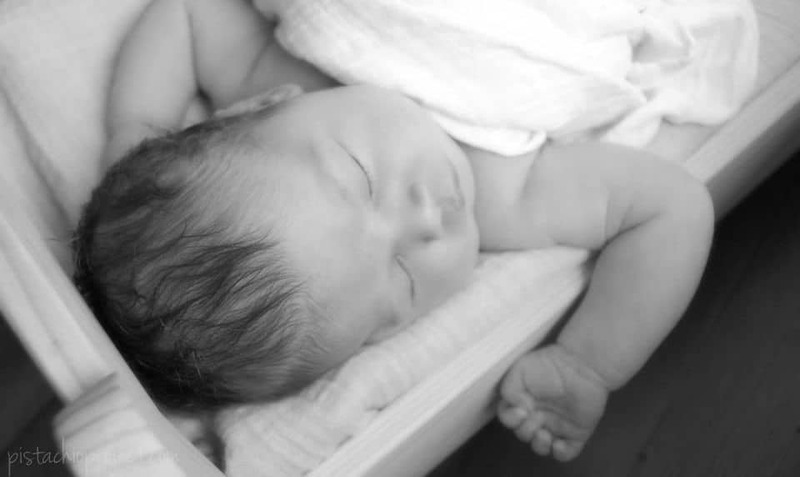 On the first day, a baby’s stomach only has enough capacity for 5-7 ml, or about the size of a marble. By day three, its capacity is about an ounce and by day 7 its capacity is about 1.5-2 ounces. So you can see why small, frequent meals are the best you can do for both your baby and your milk supply. Myth: If your baby is nursing frequently, he’s just using you as a pacifier. Fact: Our babies are intelligent beings, but I’ve never been one to say that a baby is conniving enough to plot and scheme against us, using moms as pacifiers all over the world! Babies eat frequently because they have tiny tummies and they’re growing every day! And what better comfort than nestled in your mom’s arms drinking the best nature has to offer? Myth: Pumping shows how much milk you have. Fact: Even the best, most expensive electric pump money can buy will never be as efficient as your baby is at emptying your breast! When I pump, I get about 6 ounces out of both breasts and I know that my baby gets far more when she nurses. If she only got 6 pounces every time she nursed she wouldn’t have the cute chubby legs she has today! Myth: Eating gassy foods will make your baby gassy so breastfeeding moms have to be careful about what they eat/drink. Fact: True—breastfeeding moms do have to be careful about what they eat and drink. However, breastmilk is made from what is in your bloodstream, not your stomach. So yes—gassy foods will make you gassy but it most likely not make your baby gassy. Of course, be mindful of your baby’s behavior and if you notice that he/she is sensitive to something you eat then don’t eat it again. Myth: Formula is just as good as breastmilk. Fact: Breastmilk is the norm for our species. It is perfectly made with everything that our babies need. In most cases, they need nothing in addition to breastmilk. Our milk has over 300 ingredients, including white cells and antibodies! Formula has about 40 ingredients — non-living, of course! Myth: After “such and such” number of months, breastmilk has no nutritional value. Fact: The awesome thing about breastmilk is that it evolves and changes as your baby grows and changes! Unlike formula, when your baby reaches toddlerhood you don’t need to buy special milk! Your body is already producing exactly what your growing toddler needs! Breastmilk doesn’t suddenly change to water as your baby grows up. There are mothers that no matter how hard they try can not produce enough milk. I’ve met a couple of moms who would do anything to breastfeed, they have drank all the tea’s on the market they tried breastfeeding and pumping and prescriptions and they could barely get 3 oz in a 24 hour period. So it’s not lack of will or knowledge some women really just can not produce enough milk for their baby. If the mother had implants prior to baby it could affect their ability to produce milk. That is definitely true. There are legitimate cases of moms who do not make enough milk. But overall, society is too quick to use the “I don’t make enough milk” card.